Elaine Fuchs, Ph.D., recipient of the 2016 Vanderbilt Prize in Biomedical Science and a pioneer in the field of reverse genetics, will deliver her Vanderbilt Prize lecture as part of the Flexner Discovery Lecture series on Thursday, March 30. Her lecture, entitled “Stem Cells in Silence, Action and Cancer,” will begin at 4 p.m. in 208 Light Hall. It is sponsored by the Office of the President and CEO of Vanderbilt University Medical Center. 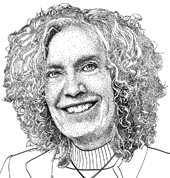 Fuchs is Rebecca C. Lancefield Professor and head of the Laboratory of Mammalian Cell Biology and Development at the Rockefeller University in New York City. Her innovative use of reverse genetics has helped redefine the study of skin diseases and cancer stem cells. She is a recipient of the National Medal of Science and, since 1988, a Howard Hughes Medical Institute (HHMI) investigator. Fuchs is the 11th recipient of the Vanderbilt Prize in Biomedical Science. Established by Vanderbilt University School of Medicine in 2006, the prize honors women scientists with a “stellar record” of research accomplishments who have made significant contributions to mentoring other women in science. Prize winners receive an honorarium, meet with Vanderbilt faculty, deliver a Flexner Discovery Lecture and mentor Vanderbilt Prize Scholars, women who are pursuing graduate studies in the biomedical sciences in the School of Medicine. This year’s Vanderbilt Prize Student Scholar will be announced during the lecture. For more information about the Vanderbilt Prize, click on https://medschool.vanderbilt.edu/oor and search for Vanderbilt Prize. For a complete schedule of the Discovery Lecture series and archived video of previous lectures, visit www.mc.vanderbilt.edu/discoveryseries.